Reviewed: Marvel Now! Iron Man ARTFX+ Statue by Kotobukiya | 'TAIN'T THE MEAT… IT'S THE HUMANITY! Standing resolute and ready for action comes the sixth and final model from Kotobukiya’s Avengers Now! 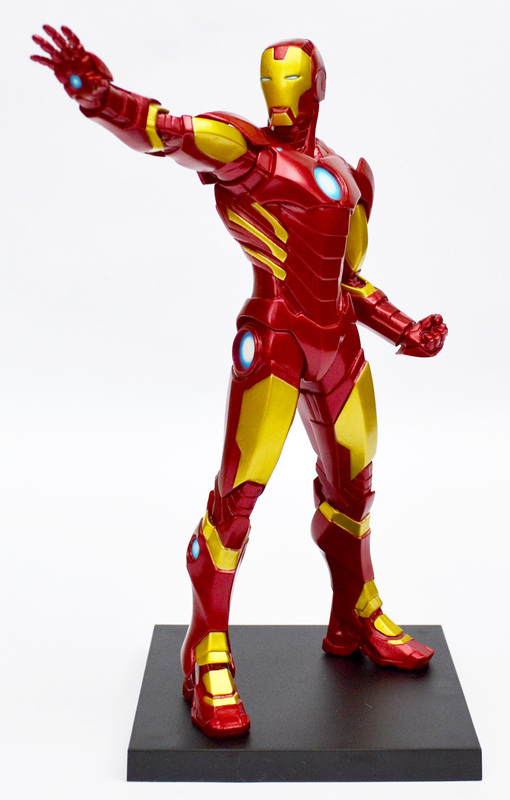 statue collection – ol’ shellhead himself, Iron Man. Shipping almost a month late the Japanese manufacturer’s Marvel Now! Iron Man ARTFX+ Statue was released in early January 2015, and is the last snap together model kit based on artist Adi Granov’s concept artwork of The Avengers, commissioned especially for this collection. 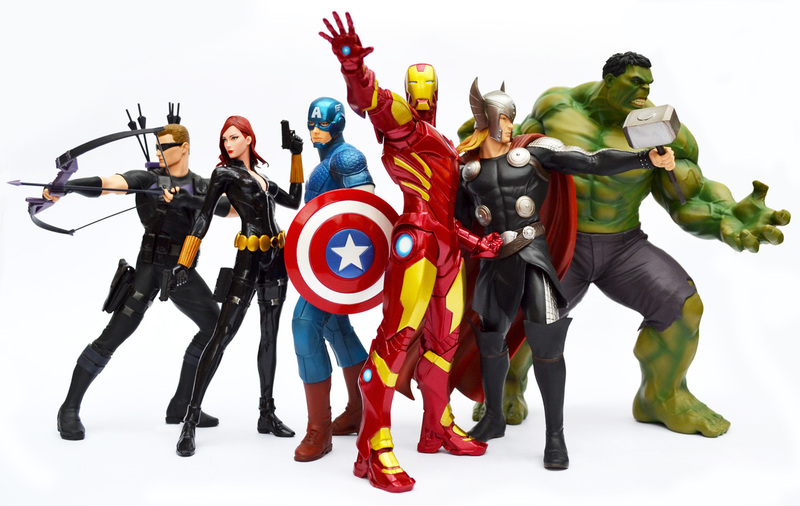 The other five statues – The Hulk, The Black Widow, Captain America, Hawkeye and Thor – were released at irregular intervals throughout 2014. 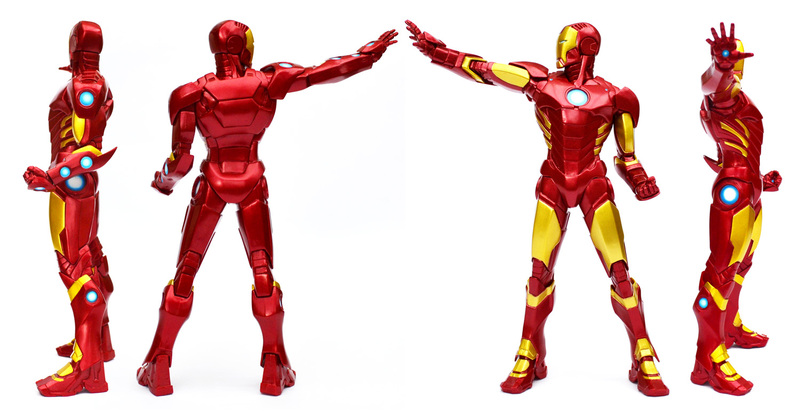 There are two versions of the Iron Man statue available: a black and gold edition that matches Granov’s drawing, and the more classic red and gold variant. Since I’m an old school Iron Man fan I’ve gone with the variant edition, which I think looks much better. Measuring eight and a half inches tall (1:10 scale) this model kit comes in six different pieces: head; torso; arms and legs. The statue ships in a sturdy cardboard box measuring 5 x 8 x 12 inches, decorated with images of the statue and panels from the superhero’s comic. Inside the box the statue is protected by two pieces of blister packaging and each of the model’s pieces is wrapped in a clear plastic sheath. 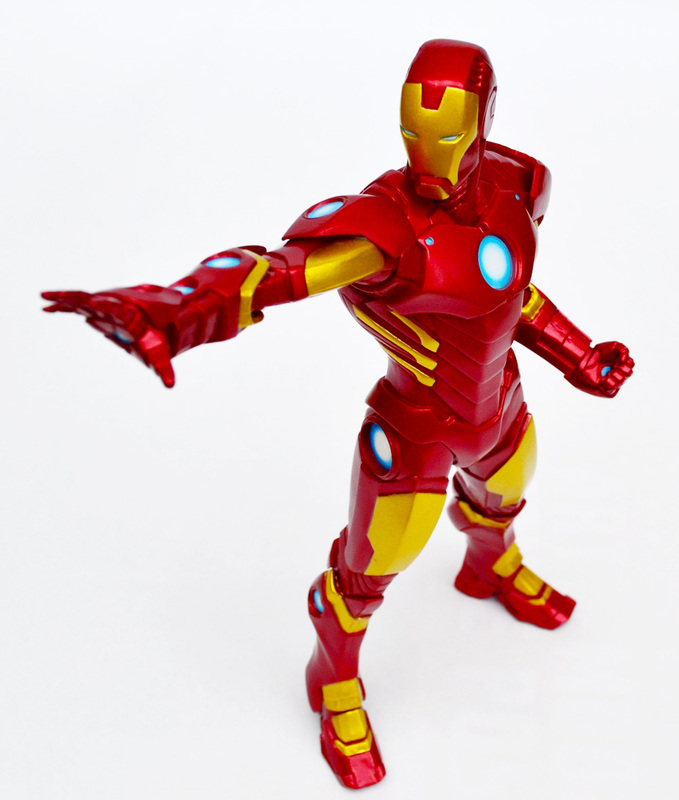 Like the other models in this collection Iron Man is supplied pre-painted and no glueing is required to assemble the statue. Kotobukiya have ensured that the seams between pieces are hidden by the joints in his armour, and when put together the seams are invisible. The statue doesn’t ship with any accessories. 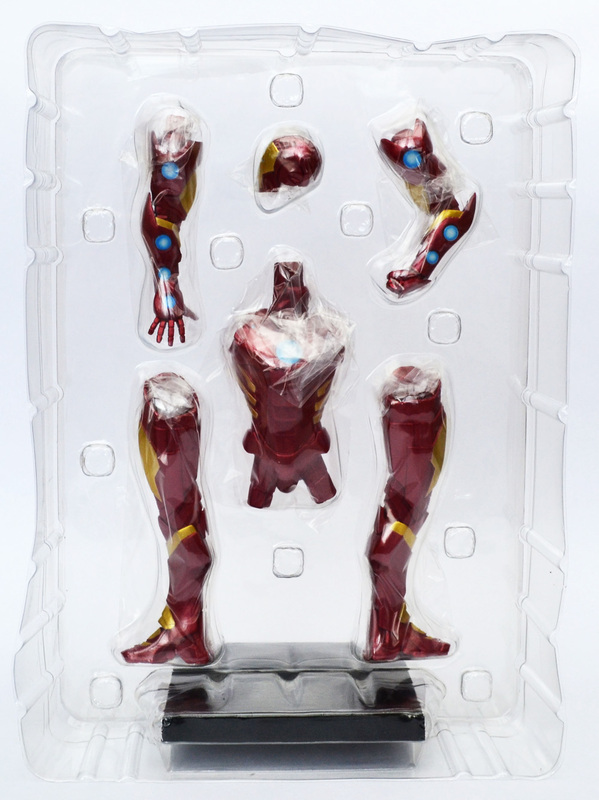 The only other item that comes with Iron Man is an uninspiring magnetic black base. I’ve previously noted my disappointment with the bases that accompany the statues in this collection – they’re just plain dull. Why Kotobukiya didn’t model the base to resemble the cracked concrete from Granov’s original drawing is beyond me. Thankfully the statue stands perfectly well without the base. Now for the good stuff: what is the statue actually like? Sculptor Junnosuke Abe, who also scupted the other statues in this collection, has done another fine job interpreting Granov’s vision of the Golden Avenger. The level of workmanship is very high, with Abe’s sculpt showing nice crisp clean lines and plenty of detail in the armour. The paintwork is also very well done – the red and gold armour has a pleasing metallic sheen, and the blue tint on the repulsers and chest cannon is a nice touch. My only quibble with the paint job concerns the area around the mouth, where the gold overlaps a little – it’s not a huge problem however and it certainly doesn’t detract from the statue’s impact. The Marvel Now! 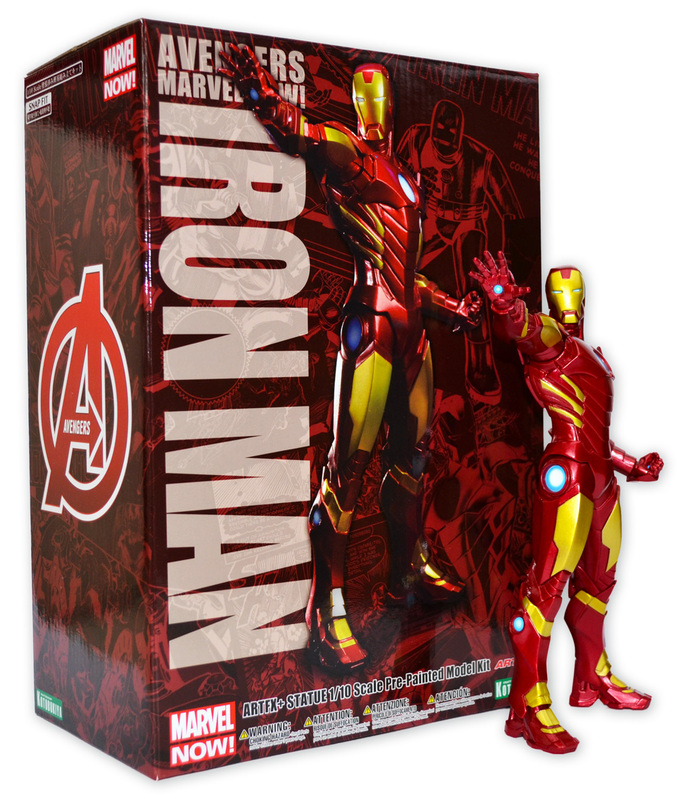 Iron Man ARTFX+ statue retails for around £/$45, not too expensive considering the level of work that’s gone into it. Now that all six statues have been released I can say that I’m very pleased with the collection – they look great on a shelf and I don’t regret the £240 I shelled out for all six statues. Kotobukiya’s Marvel Now! 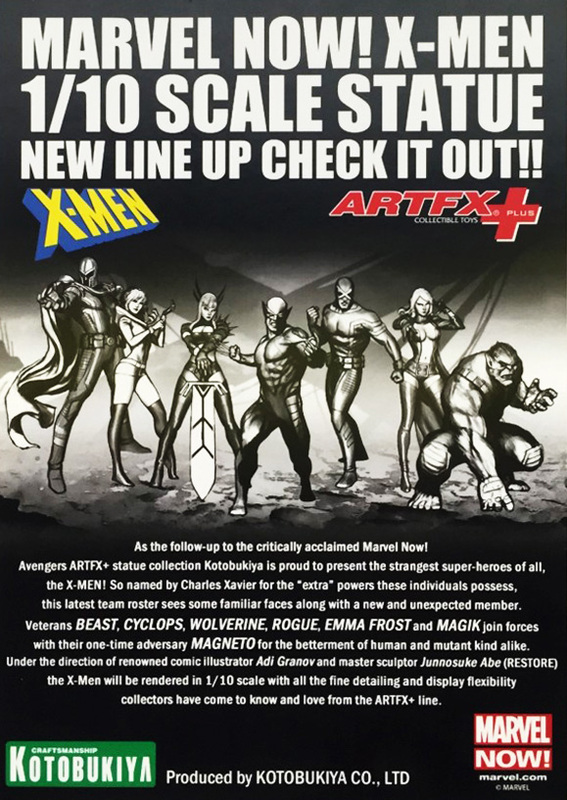 collection are the first ARTFX+ statues the company have released based on Marvel characters, and they make for an impressive debut. Sculptor Junnosuke Abe has done a great job interpreting Adi Granov’s artwork while simultaneously imbuing each statue with it’s own characteristics and personality. 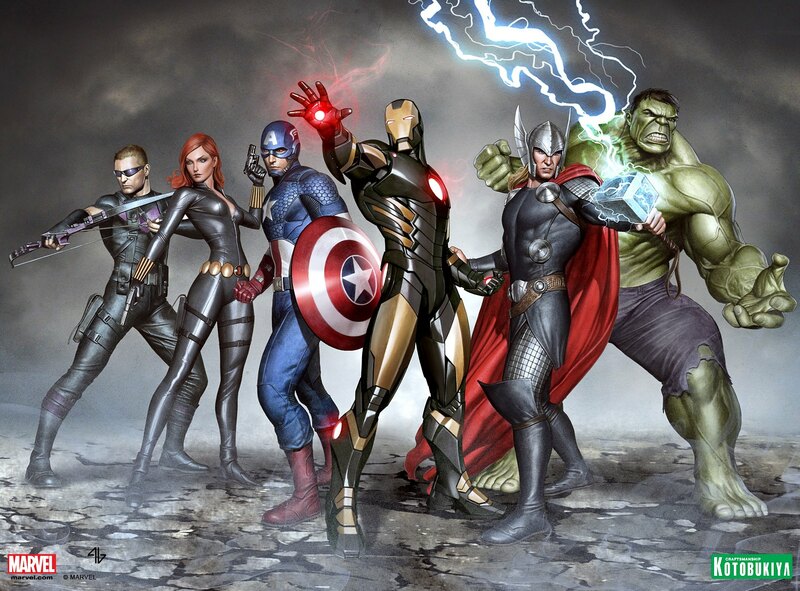 The Avengers collection have been so successful that Kotobukiya have announced the next Marvel Comics property to receive the ARTFX+ treatment: The X-Men, due for release throughout 2015. This new collection will once again be based on artwork by Granov and will be sculpted by Abe. Kotobukiya are clearly hoping they can capture lightning in a bottle for a second time, and I for one certainly wouldn’t bet against them.